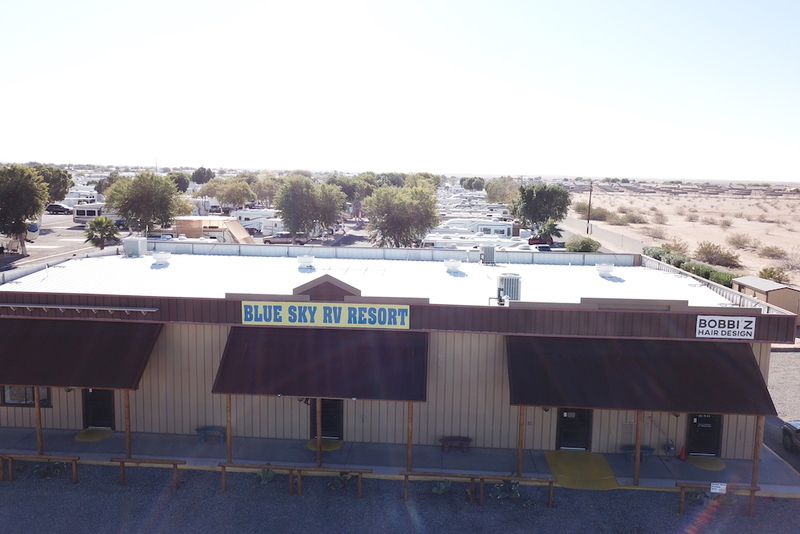 We warmly welcome you to Blue Sky RV Resort. It is an exceptional place to live and a dynamic place to visit. We are honored to announce we are under new ownership and management. 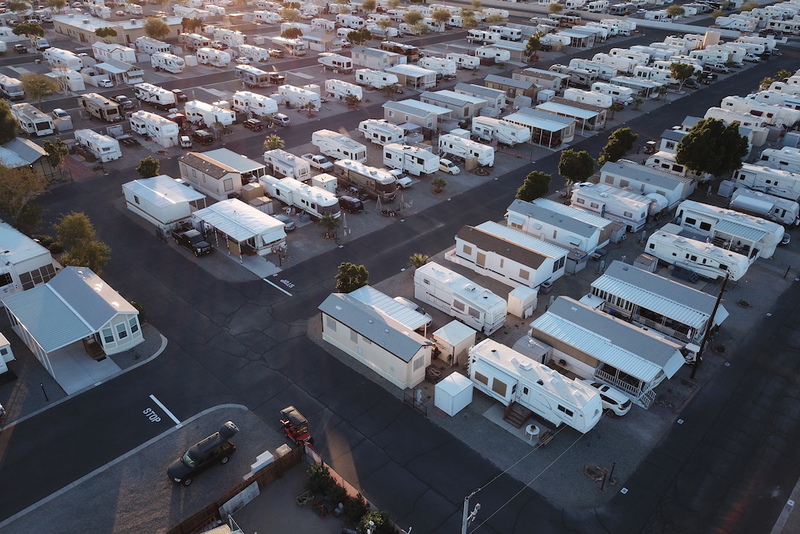 We are here to provide overall excellence in park aesthetics, well-maintained grounds, clean buildings, pool area and restrooms, staff availability and friendliness. 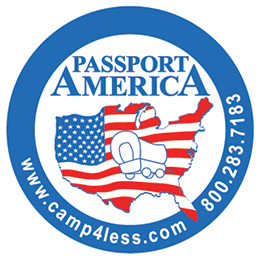 All you RVing groups will be especially pleased with the park’s hosting facilities. The Recreation Building is where you’ll find the friendly office staff, a large recreation room, laundry facilities, and the park mail room. The Clubhouse is the place to relax and have a little fellowship with your new and old friends and neighbors, playing cards, working a jigsaw puzzle or selecting a book from our park library. Two billiard tables are available for your pleasure, and outside you’ll find two horseshoe pits and three shuffleboard courts. 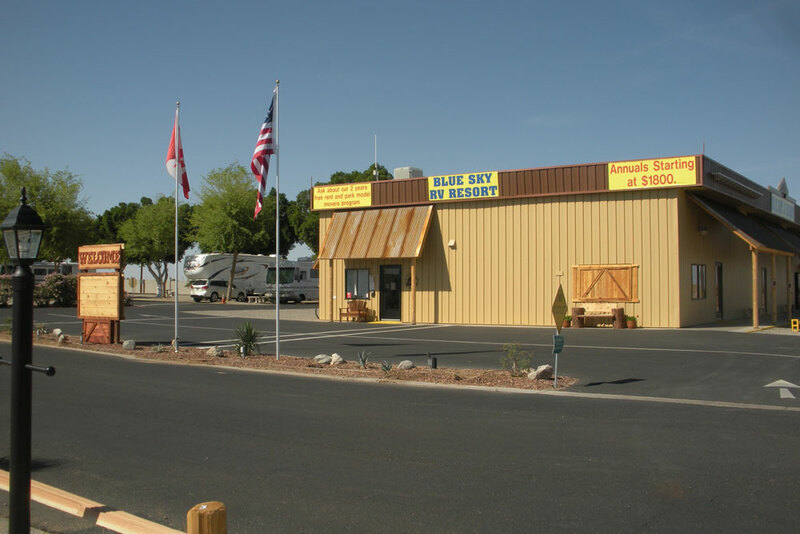 Blue Sky RV Resort caters to all you winter residents looking to get away from the cold. 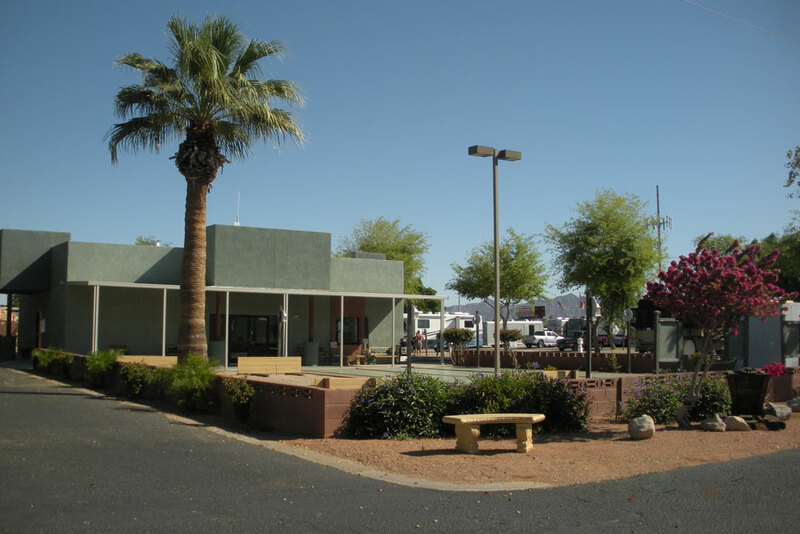 The Yuma area is well-known among winter RVers for its outstanding views, historical sites, excellent services, activities for all ages and special programs for seniors. 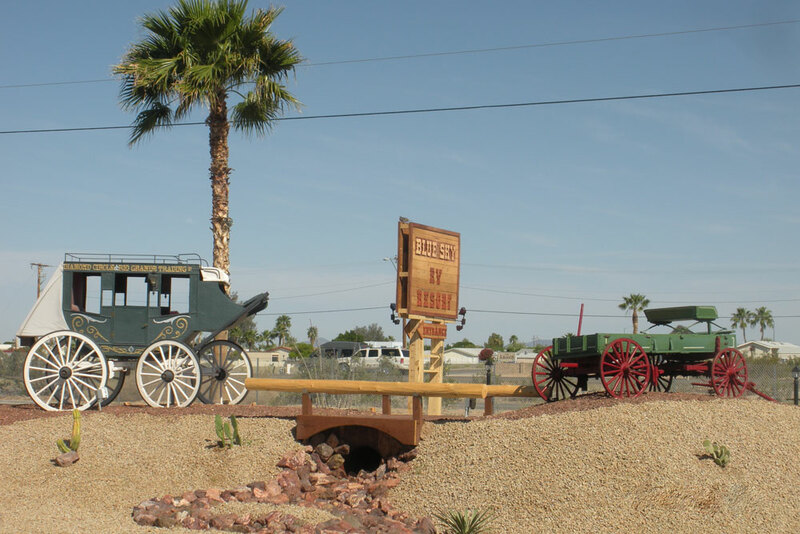 Yuma visitors also enjoy the area's local attractions, such as the many golf courses, water sports on the local lakes and rivers, and the low-cost shopping, dining and prescription, dental & vision services in nearby Mexico. 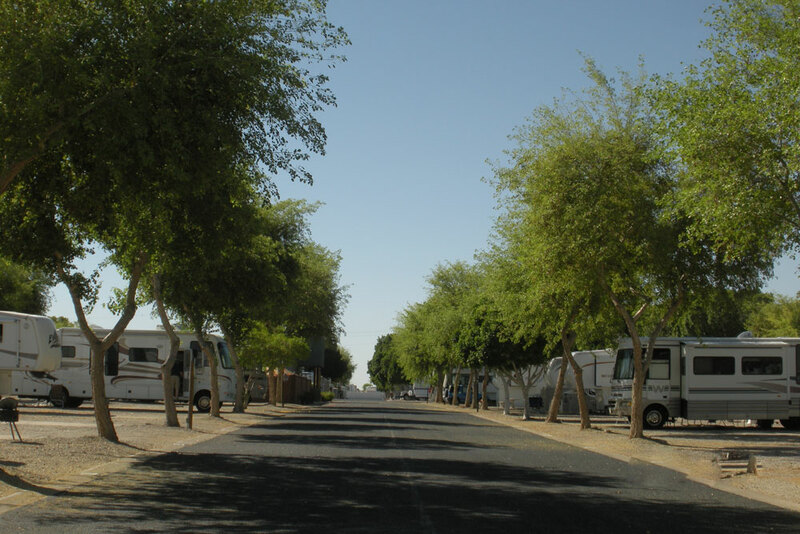 Blue Sky is the RVer's perfect destination, offering modern facilities & amenities, plus easy access to all the area has to offer. 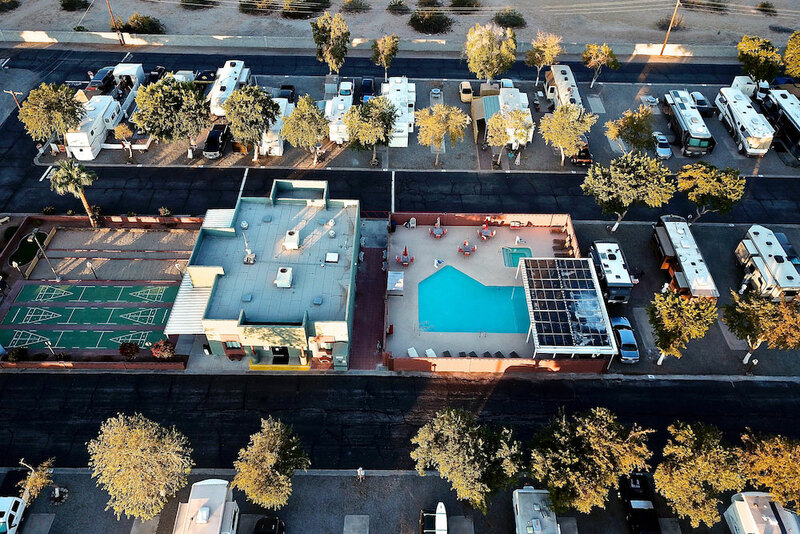 The family-owned resort is now being managed by owners with over 40 years of experience managing RV parks and resorts. 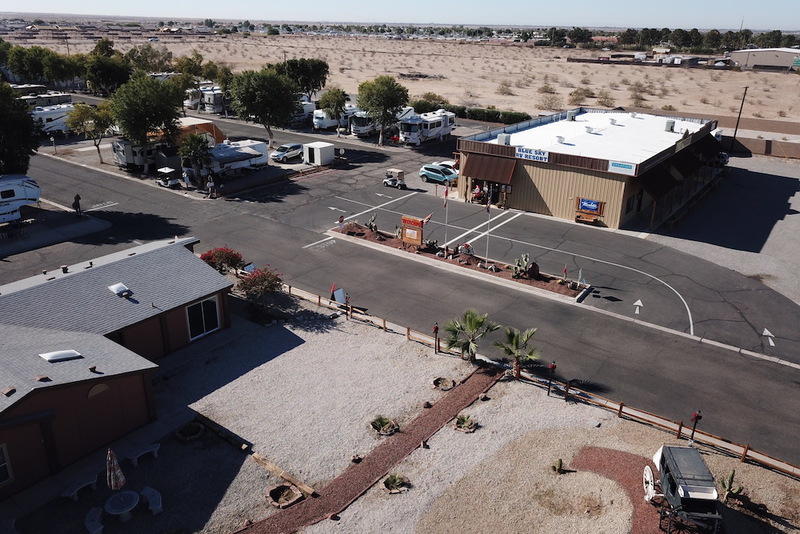 Our mission is to provide the finest RV resort in the area and live harmoniously within our community. 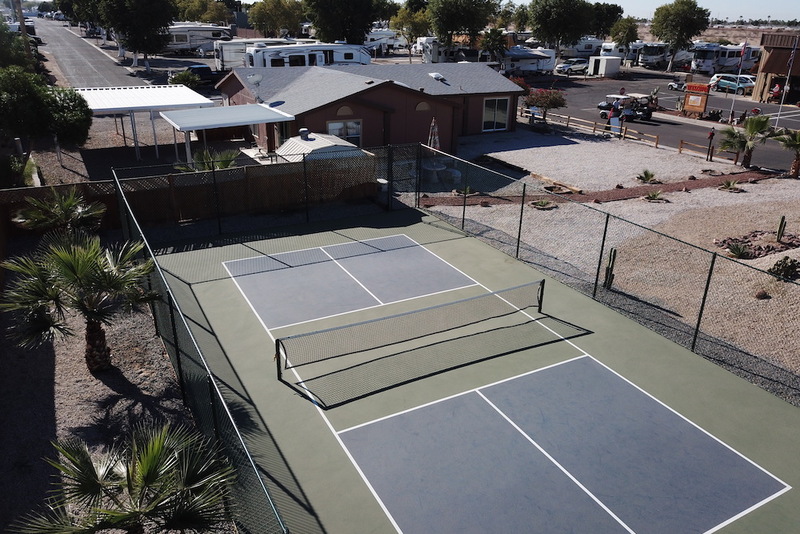 Blue Sky RV Resort is an RV resort with no age restriction. Please call our park if you have any questions at 928-342-1444. Please come visit us at one of our other locations near you!! Phone: 928-785-4072 Ask for Gloria! Phone: 928-782-7747 Ask for Mel! Phone: 623-374-9800 - Ask for Christine! 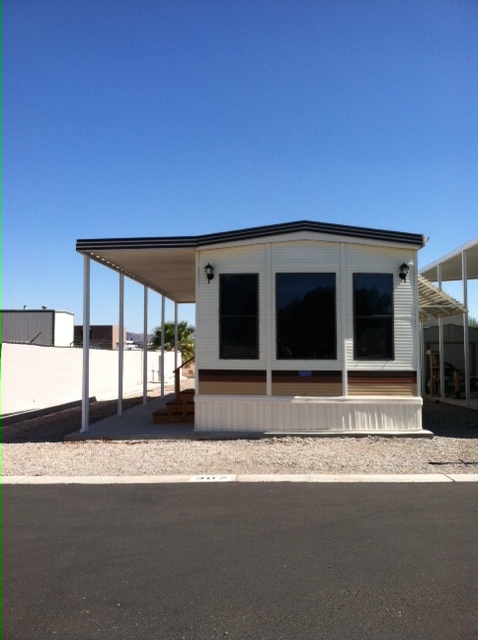 1BD/1BA, elec stove & heat, refrig, microwave, covered patio.